A reservoir of melting carbon covering an area almost the size of Mexico has been discovered beneath the western US, casting doubt over previous estimates of carbon levels inside the Earth. The discovery was made by a team from the University of Royal Holloway London using the world’s largest array of seismic sensors that identified the carbon from vibrations generated in Earth’s upper mantle. The reservoir is believed to have been formed when a Pacific tectonic plate was forced underneath the western US, according to the research published in Earth and Planetary Science Letters. “It is a result of one of the tectonic plates of the Pacific Ocean forced underneath the western US, undergoing partial melting, thanks to gasses like CO2 and H2O contained in the minerals dissolved in it," study author Dr Sash Hier-Majumder of Royal Holloway said in a statement. Located 217 miles (350km) below the planet’s surface the reservoir is estimated to cover 695,000 sq miles (1.8 million sq km). Following their research, the scientists say that the amount of carbon dioxide in the Earth’s upper mantle could be up to 100 trillion metric tons. 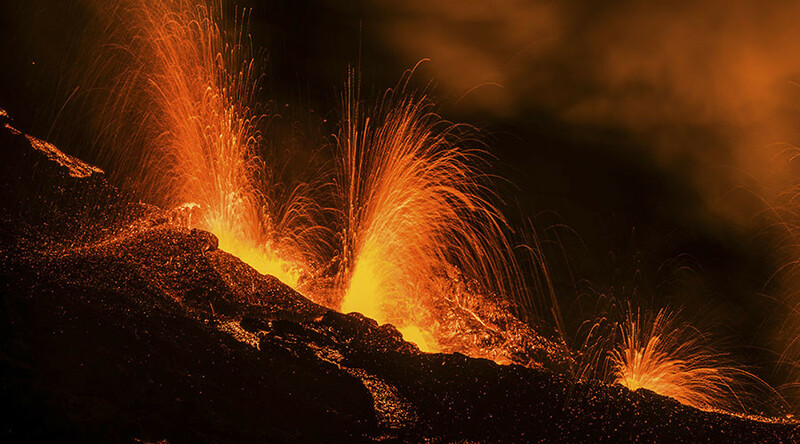 The carbon in the upper mantle isn’t expected to stay underground forever, instead it’s slowly making its way up to the surface via volcanic eruptions – adding to the carbon already being emitted into the atmosphere by humans. “We might not think of the deep structure of the Earth as linked to climate change above us, but this discovery not only has implications for subterranean mapping but also for our future atmosphere,” Hier-Majumder added.